Selector COYOTE by Proline Lures - A premium coyote gland lure for Coyote. Use at flat or post sets. Has that little extra "bang"! 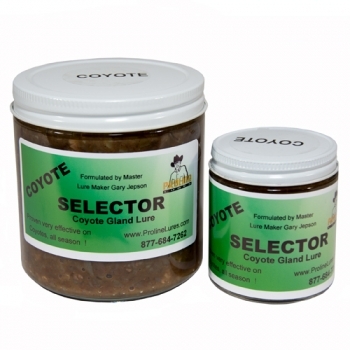 Selector is the makers choice for Spring and Summer and early Fall coyote trapping.